Villagers of Nadaro in Tailevu will now feel a lot safer during rainy days as a retaining wall will soon be installed along the Nadaro river bank in Tailevu. While commissioning the Nadaro River Bank Protection Project, Minister for Waterways Dr Mahendra Reddy highlighted that for all the villagers of Nadaro, intervention is necessary to address river bank erosion as the village is surrounded by Waisere Creek with the village boundary fixed to the winding bend of the creek. Reddy says riverbank erosion is becoming prevalent in Fiji, threatening communities living along the river systems. 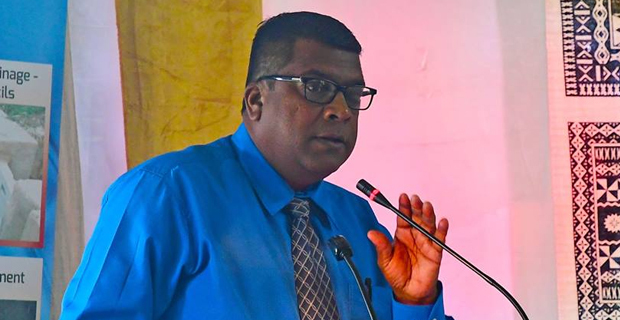 The Minister says the 112m long river bank protection works will be constructed by Hot Spring Hire Service at a cost of $431,333.17 and is planned to be completed in 4 months.